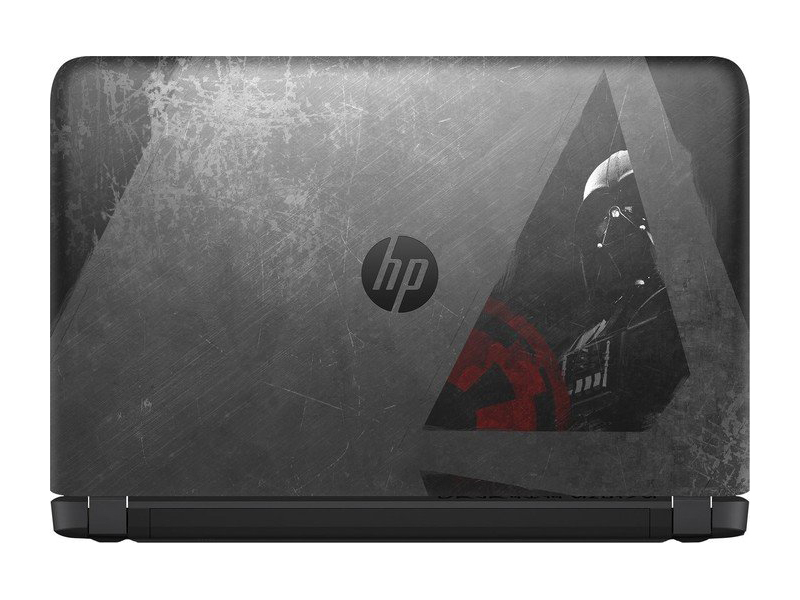 Model: The HP Star Wars Special Edition 15-an001na is a laptop designed for Star Wars fans. 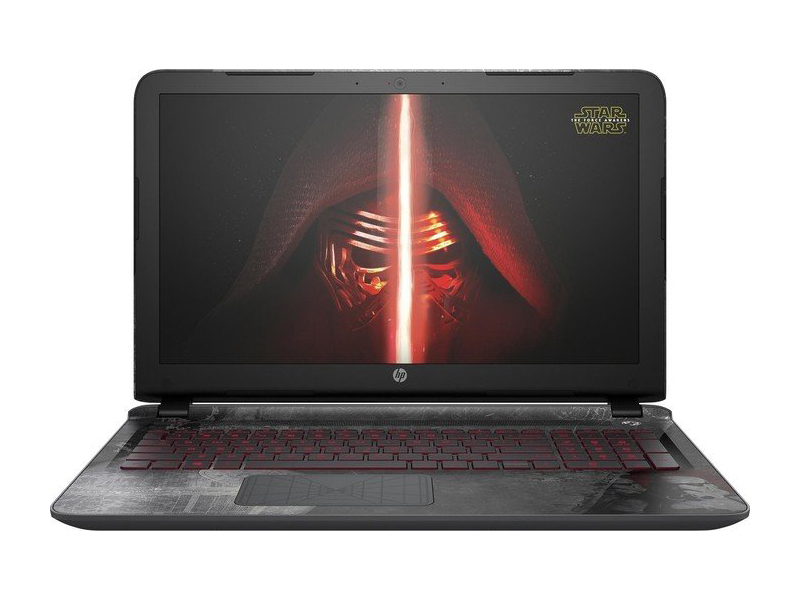 It comes with pre-loaded Star Wars wallpapers, licensed sounds, screensavers, concept art and original storyboards. 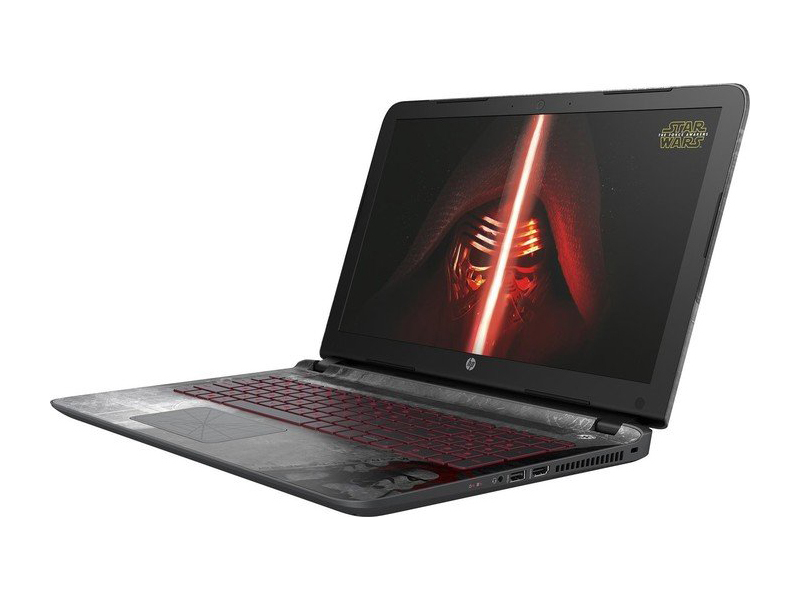 The chassis is also covered with artwork from Star Wars.The Microsoft Windows 10 Home 64-bit system features a 2.3 GHz Intel Core i5 6200U, a Nvidia GeForce 940M graphics card, a 1 TB HDD, and 6 GB of DDR4 RAM. Its matte 15.6 inch display features a 1920 x 1080 resolution. 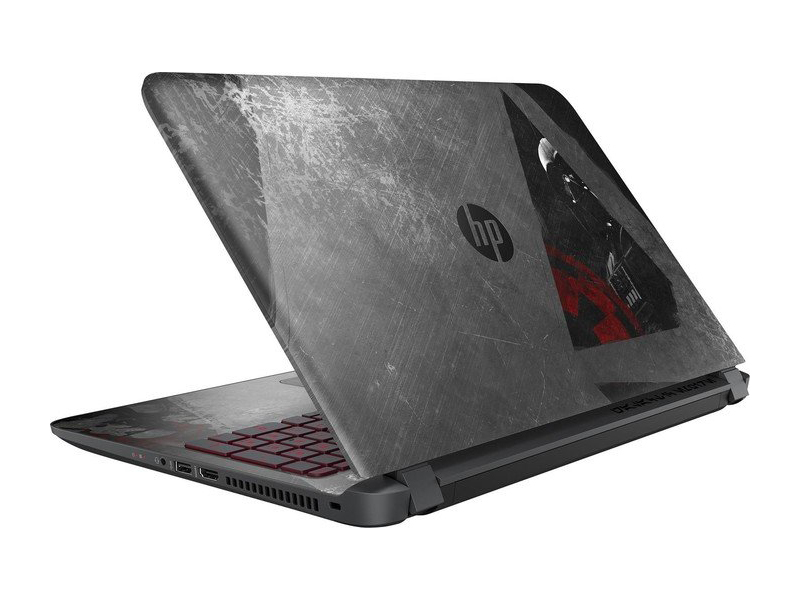 The laptop is suitable for watching movies and some light gaming. Its backlight keyboard comes with red light and is comfortable to type on. The connectivity includes two USB 3.0 ports, a USB 2.0 port, an HDMI port, a headphone/microphone port, an RJ-45 port, a DVD drive for watching Star Wars videos and an SD card reader. In addition, a Kensington lock is included for security purposes. The laptop has a weight of 2.09 kg. Its battery life can last up to 5 hours and 3 minutes based on a video playback test.